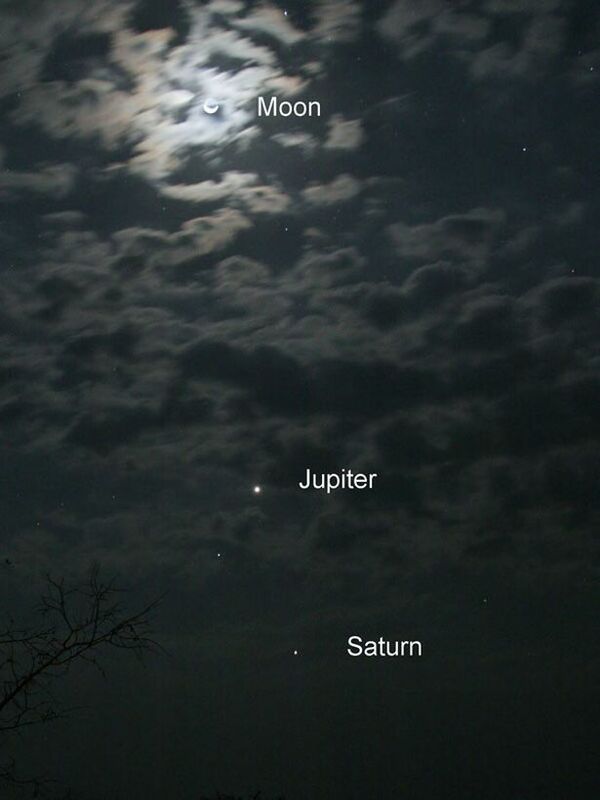 May is a great time to see Jupiter, Saturn and Venus in the night sky. You won't need a telescope or binoculars to see the gas giants, but if you want the most detail a bit of magnification doesn't hurt. On the night of May 7, Jupiter will be very clear and will be sharing the night sky with an almost-full moon. Both objects will be bright and should make for some great photographs. 2 weeks into the month, it will be possible to spot Saturn in the hours before midnight - although it won't be high in the sky. May 14 is perhaps the best night to get a picture of Saturn, if you've got a telescope to hand. Venus will also be visible at this time of the month - with the finest time to catch it being very early in the morning. The planet will be just above the Earth's horizon before sunrise, which is the best time to spot it. If you look to the east on the mornings of May 22 and May 23, you will see Venus alongside a crescent moon. This marks the transition of the northern hemisphere's night sky from spring to summer.